We have a new funding bar to show that we have now raised all the money needed for surveys, planning fees, architect and engineering fees. All funds will now go towards the actual construction costs. A big thank you to all our sponsors. 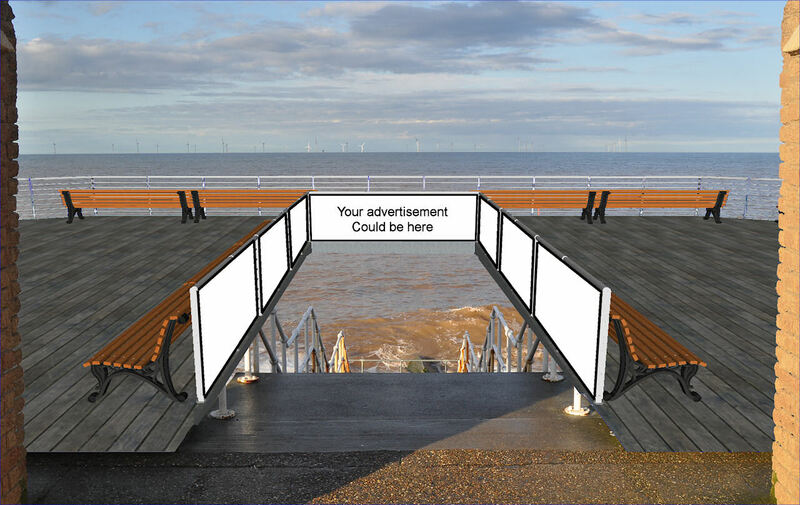 We are looking for more sponsors to help us rebuild the Withernsea Pier. Please visit our Sponsors Page to see who have supported us so far. 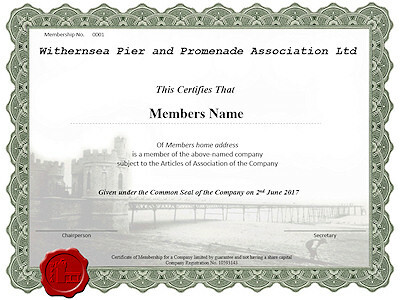 Show your support by becoming a member of the Withernsea Pier and Promenade Association and get your own numbered membership certificate. Membership is only £10. The plaques will be mounted temporary on a board and will be mounted on the pier as soon as the first stage is built. 2 engraved lines with a maximum of 16 characters per line (including space). 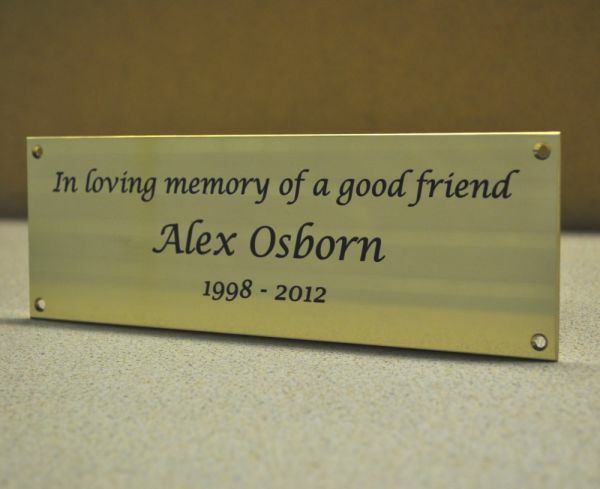 £100 for personal plaques, £200 for business sponsored plaques. Up to 4 engraved lines with a maximum of 24 characters per line (including space). £200 for personal plaques, £400 for business sponsored plaques. 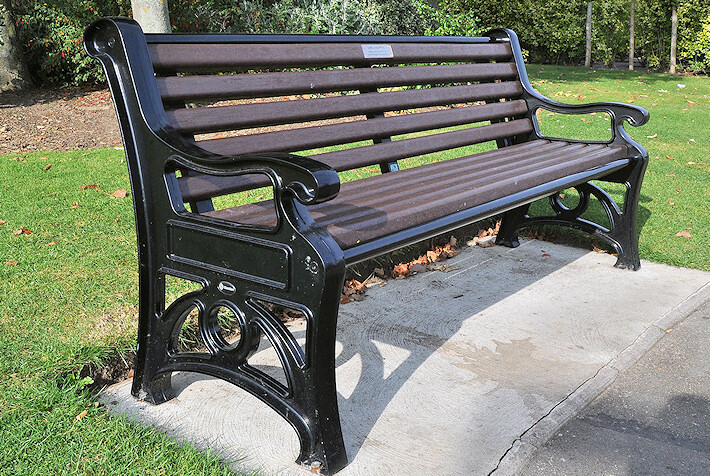 Sponsor a bench to go on the pier. Price will be about £1200. This is a great opportunity to advertise your company at a highly visible tourist attraction. A design of your choice will be printed on sturdy and weather proof vinyl dyebonded to an aluminium backing. Please see pictures below for location. Sponsorship money can be paid directly into our bank account HSBC 40-25-59 20183474.